Dispenser for transfer films | YOW! 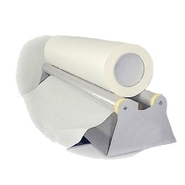 Transfer films are required in the advertising technology for a wide range of applications. The film and paper tapes are used, for example, to transmit wall tattoos, protect digital prints, or mount multi-color stickers. In order to ensure an optimal result, you will receive the YOW! 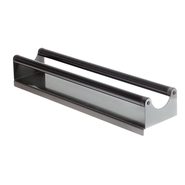 Onlineshop practical roll-off aids from 31cm up to 125cm width. Due to its intelligent design, it is also possible to install larger width rolls. 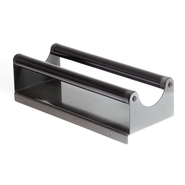 In order to always ensure a comfortable and easy unwinding, you will also receive dispensers with special holes at the front so that you can screw the dispensers on your workplace and prevent an annoying slipping. Look forward to high-quality YOW! And supplement your range of advertising technology with a practical donor for transfer films!